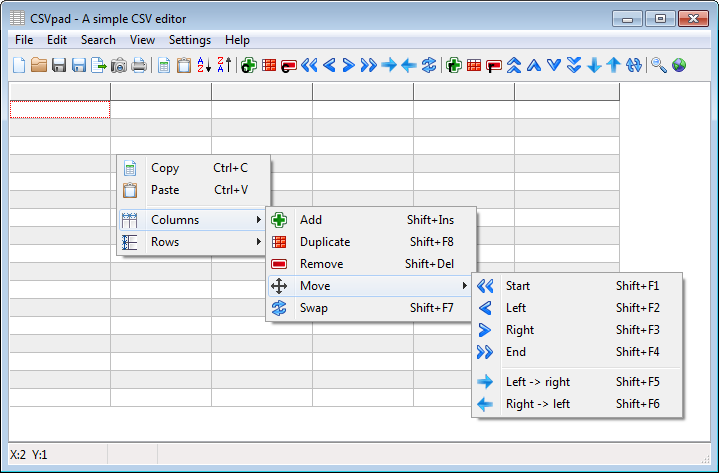 For its fast processing of large files, ability to highlight selected rows, and more advanced features (remove duplicates, split/join columns, searches...), give a shot to CSVed as well. Recently found my self needing to view and edit some csv files, so naturally came here first looking for a solution, I first tried CSVFileView by Nirsoft as it was the highest rated one, but found that to be incredibly laggy with even small files, and you can forget anything big. This one on the other hand ran like a champ, a big thumbs up from me. The only grip I have with this is there are no way to highlight entire rows or columns, which can make keeping track of things a bit hard if your scrolling a lot.